Welcome to Trinity United Methodist Church. We look forward to sharing more about us and what we can offer you. Our Mission statement is Becoming Disciples of Jesus to Make a Difference and at Trinity every decision is based on that. We are serious about growing in our own faith walk so we, in turn, can guide others in their growth. We look forward to meeting you! This area is designed to assist you in navigating Trinity once you visit and to have a better idea of what to expect. You will find information about our Worship Services, our Sunday School Classes and other opportunities to serve Trinity and the Community. Our mission is: Becoming disciples of Jesus to make a difference. Here at Trinity you can connect with Jesus and others through worship and prayer, learn how the Bible applies to your life, grow in your spiritual journey, serve along others, learn to give to be a blessing and make friends that last a lifetime. We invite you to join us and journey together down the road of life. We look forward to seeing you soon. 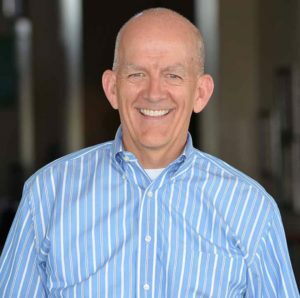 Dr. Dean Posey is Senior Pastor at Trinity United Methodist Church in Arlington, Texas. Dean married his wife Diana in 1977. They have 2 grown children. In the ministry for almost 40 years, Dean has a B.A. in Religion from Baylor University, a Masters of Divinity degree from Candler School of Theology at Emory University in Atlanta and a Doctorate of Ministry from the same school. Dr. Posey is a dynamic leader who continually strives to bring faith into the lives of everyone he meets. At one point, Dean worked directly with ALPHA founder Nicky Gumbel in London, England to organize and facilitate the first ALPHA conference in the state of Texas. Dr. Posey has recently published his first book 12 Gifts We Can’t Afford to Lose. Dr. Posey has long been intrigued with the story of Noah and God’s faithfulness in his trials. Noah’s faithful obedience to God and the great narrative of how God saved Noah and his family from the ensuing flood as detailed in Chapters 6-9 of Genesis, is the story Dr. Posey uses to illustrate the eternal gifts God not only gave Noah, but faithfully supplies each of us with today. The question that Dr. Posey then asks is whether or not we are willing to not just receive the gifts, but to make the sacrifices necessary to put them to work in our lives. With the same deep faith and personal anecdotes that have marked his sermons in almost 40 years of ministry, Dr. Posey explores each of the gifts that have come directly from God’s heart, proof that we have been blessed by his faithfulness. In his new book, Dr. Dean Posey, Senior Pastor of Trinity United Methodist Church analyzes the life of Noah – a name familiar to all Christians – and discovers 12 incredible gifts that we can use in our modern lives. We have four different times for worship: 8:30 am contemporary, 9:45 traditional and 11:00 am for traditional, each of these are in the Sanctuary. Also at 11:00 am we have a children’s service called The Clubhouse, a brand new worship experience specifically designed for elementary-age children. We have marked several places in front (east) of the building designated for guests. These are close to the front door. All children are welcome in our worship services. Trinity provides iPads for M3 kids so they can follow along with stories that follow the sermon. We also have a great nursery for the ages of five and under. You can wear what makes you feels comfortable. Most people are in casual dress for our Contemporary Services and business casual for the Traditional Services. We feel that it is your presence that is important and not what you are wearing. You are encouraged go to the Welcome Center to register your attendance and receive a special gift. You will be greeted by one of our friendly Ambassadors and they will be available to help you.